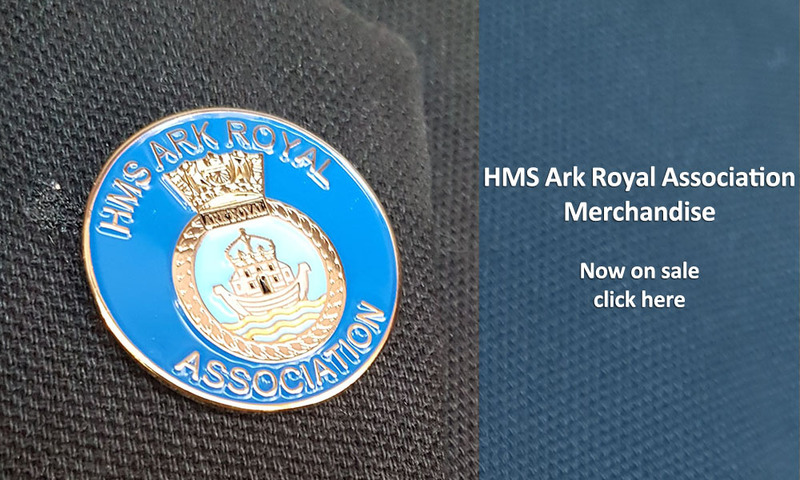 The aim of the Association is to bring together all who served on Her Majesty's Ships Ark Royal and to re-establish and maintain links to organizations previously affiliated to the ships. 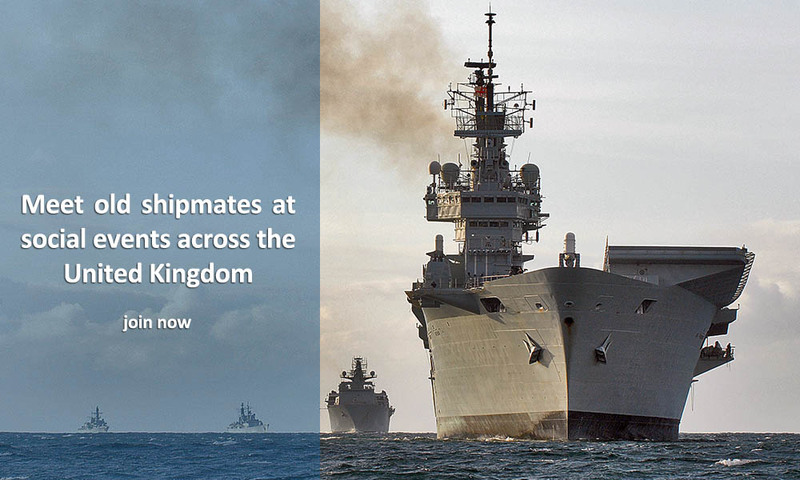 Our membership currently includes seven former commanding officers, former Ark Royal V ship's company of all eras from the original 1985 crew through to the final decommissioning crew of 2011; and Ark Royal IV ship's company members from the 1950s, 1960s and 1970s. 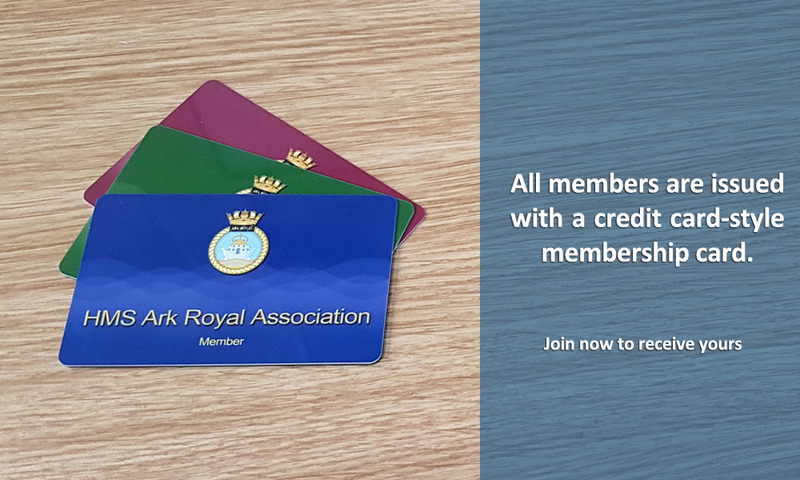 Honorary Membership may also be available at the discretion of The Committee, please contact us for more information using the link at the top of this page. 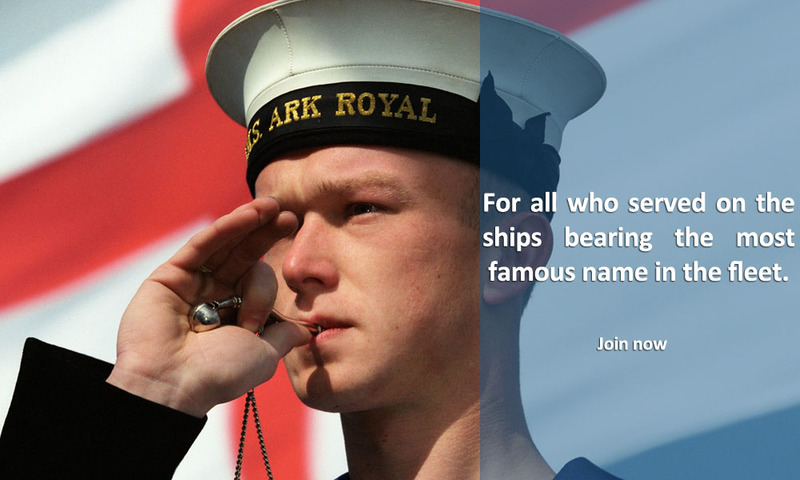 We regret to report that Mark "Tanzy" Lee, who served as a POMEM on HMS Ark Royal V (R07) in the late 1980s, crossed the bar on 13th April 2019. Rest in peace shipmate. Tanzy's funeral will take place at 3pm on Wednesday 1st May at Portchester Crematorium. His wife Sally has said all are welcome, no formal funeral dress, afterwards at the Roundabout Hotel, Fareham. 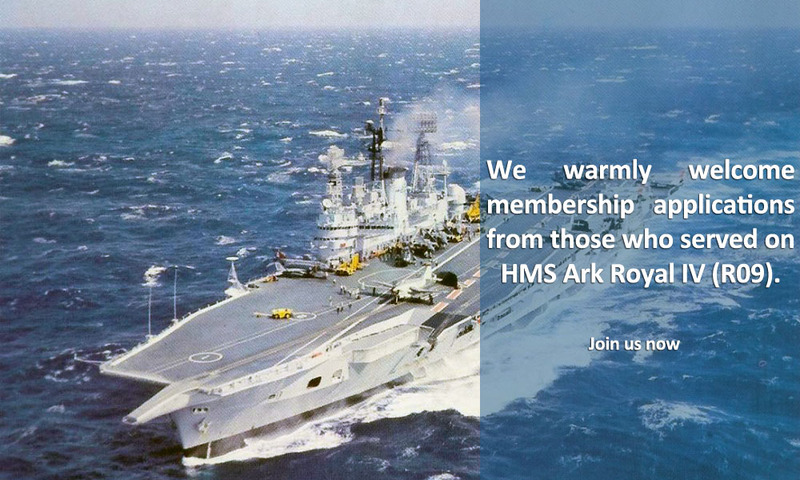 Tickets for the HMS Ark Royal Association Reunion Dinner at the Union Jack Club in London on Saturday 7th September 2019 are on sale now at £35 per person. Tickets can be bought online using a credit or debit card or, alternatively, download a ticket order form and pay by cheque. 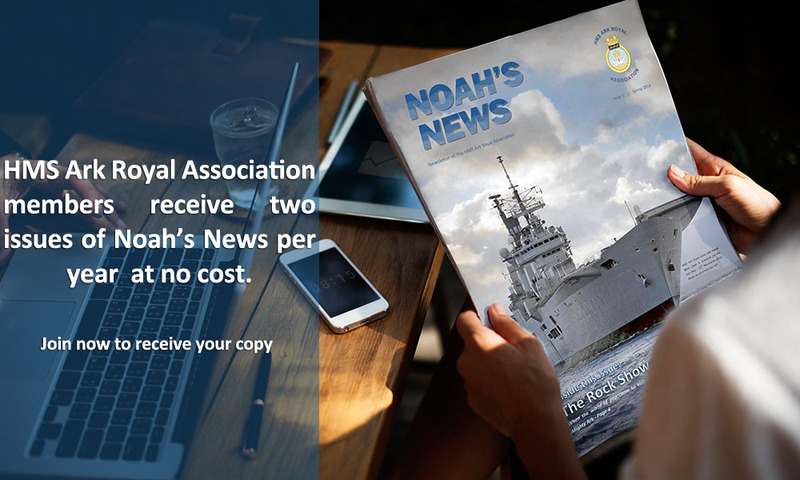 Issue 3 of Noah's News - The Newsletter of the HMS Ark Royal Association is now available to download in Members' Area of this website. Not a member yet? Click here for more information on how to join us. We can now confirm the venues for this year's Association events. 22nd June - Our AGM and Informal Social will take place at The Editor's Draught, Wellington Street, Leeds. 7th September - The HMS Ark Royal Association Reunion Dinner will take place at the Union Jack Club, Sandell Street, London. HMS Ark Royal Association AGM, Reunion & Social at The Editor's Draught, Wellington St, Leeds LS1 4LT. HMS Ark Royal Association Reunion Dinner at Gascoigne Room, Union Jack Club, London, SE1 8UJ. Naval Associations Biennial Parade at The Cenotaph, London.